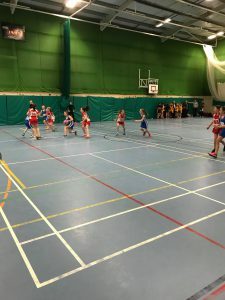 We have had the pleasure of supporting the Flintshire Sports Association for three consecutive years now and on Wednesday 25th April we were lucky enough to be invited to watch a big day in the Flintshire Netball world where 17 school teams battled it out for the 2018 County Cup. The whole event was a huge success and the support from all of the parents and staff who attended was overwhelming, making the atmosphere buzz with excitement. 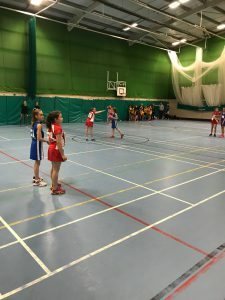 All of the teams played exceptionally well and should feel very proud with their performance throughout the matches; the final was especially invigorating with a few near misses and great shots. Our two Account Managers from the Wrexham branch, Shannon and Kate were honoured to be able to present the runners up and winners’ medals we sponsored at the end of the tournament. 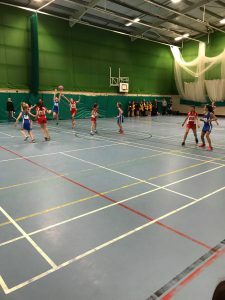 Shannon from New Directions commented “Congratulations to all of the teams who got involved, the standard of Netball played this year was amazing. I would also like to say a huge thank you to Lleucu from Ysgol Bryn Coch for organising the event and the Argoed High School for letting us use their facilities.” We look forward to seeing you all in 2019! Congratulations to Ysgol Glanrafon for being the runners up, and to Ysgol Bryn Coch for winning the County Cup Shield both teams played fantastic and were well deserved 1st and 2nd placed.